WTOP Wine Guy Scott Greenberg has some news: Enjoying red Burgundies no longer requires a line of credit and a numbered Swiss bank account. Here are his picks. For those of you who subscribe to the aforementioned theory of noted wine aficionado Harry Waugh, you’ll be pleased to find out that enjoying red Burgundies no longer requires a line of credit and a numbered Swiss bank account. On the contrary, the number of quality red Burgundies currently retailing for under $30 is on the rise, thanks, in large part, to the improvement in winemaking techniques and a consolidation of plots in the famed vineyards of the legendary wine region. From around the sixth century until the French Revolution, the vineyards were owned — and protected — by the church. Monasteries in the region made some of the finest wines in the world and profited handsomely from their sales. After the revolution, the vineyards were divided up among the people who worked the land. The inheritance by successive generations led to the partitioning of the vineyards into tiny lots. Today, some parcels are no larger than a single row in a vineyard. This fragmentation has led to some of the most confusing regional classifications in all of winedom. Because there are so many different soil compositions located in the region — and so many owners in each region — classifications have become much more focused on a particular plot of land than say, Bordeaux, where classifications are awarded to individual châteaux. Therefore, it is a specific subregion or individual vineyard, not the wine’s producer, that carries a given classification. And the classifications themselves can be a little confusing. Typically, there are four classifications ranging from lowest to highest in quality. They begin with the ordinary Burgone, then value-oriented Village, next is special occasion Premier Cru and, finally, the grand dame, Grand Cru. But, take note: Many Burgone wines can be pretty tasty, and more than a few Premier Cru are now affordable. 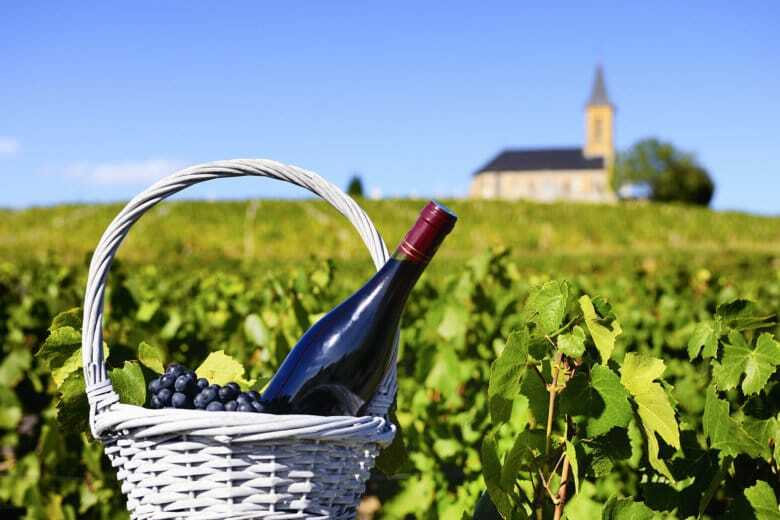 The wine region of Burgundy starts at Dijon and runs southward, almost to the city of Lyon. The main Appellation d’Origine Controlee Bourgogne wine regions in Burgundy proper are the contiguous Côte de Nuits and Côte de Beaune, which together make up the Côte d’Or (gold coast) in the north and Côte Chalonnaise to the south. Also part of the AOC Bourgogne, although not physically connected to the above regions, are Beaujolais (home to the Gammay grape), Chablis (known for its steely/flinty chardonnay) and Mâcon (mainly dedicated to chardonnay). Though it used to be true that prices for these wines were directly proportional to their classification, there is a growing selection of remarkable Burgundy wines from many noted vineyards that can be had without digging into your child’s college fund or your retirement account. After all, if wine’s first duty is to be red, it’s second duty is to be a Burgundy under $30.